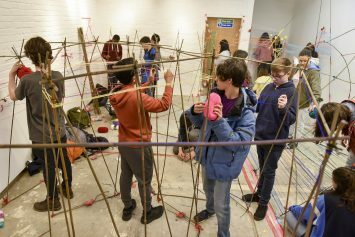 The Saturday Club has created a series of Placemaking Masterclasses in partnership with British Land. 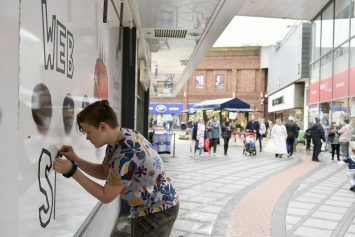 The series aims to engage Club members in their local community developments by inviting them to reimagine and reinvigorate their local shopping centres. 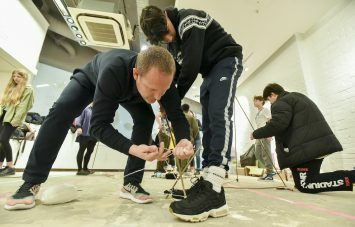 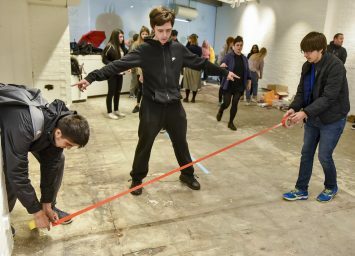 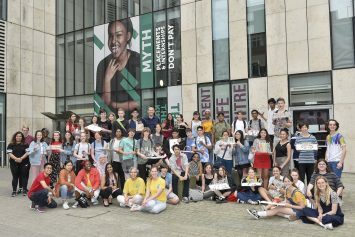 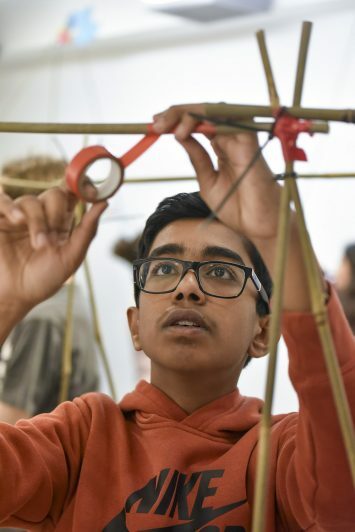 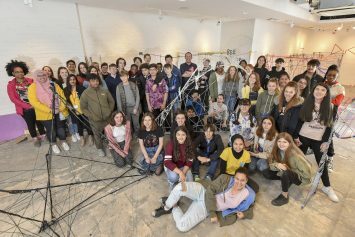 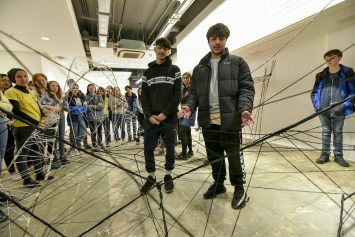 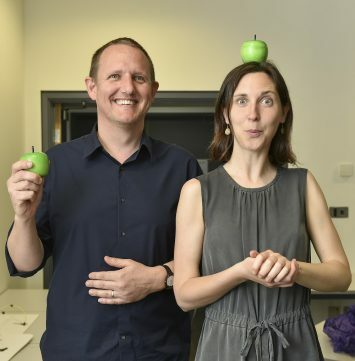 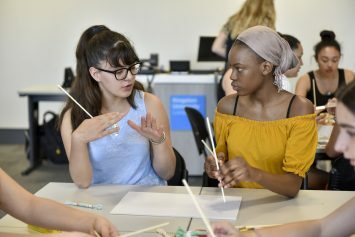 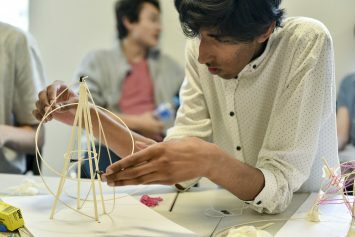 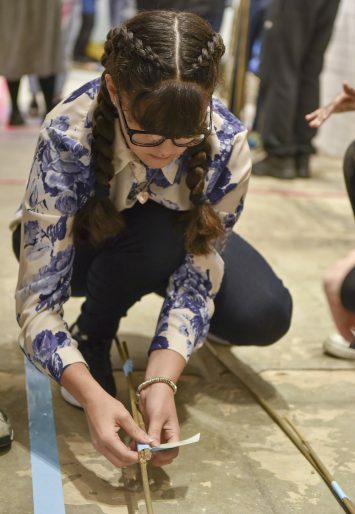 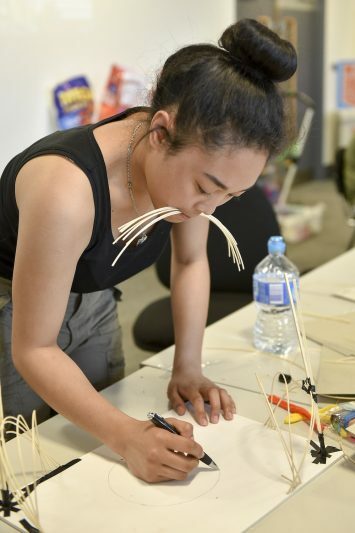 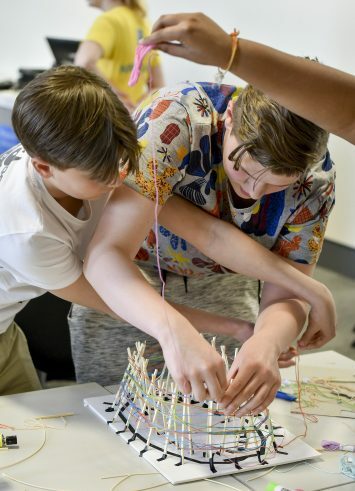 The Art&Design and Science&Engineering Clubs at Kingston University joined together for a two-day Placemaking Masterclass led by Ailsa Fraser from British Land. 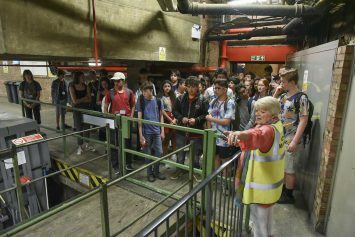 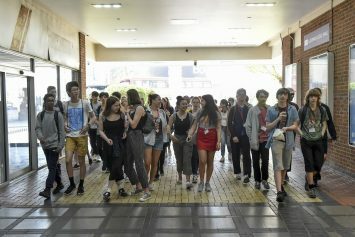 The two groups explored Eden Walk shopping centre in Kingston, from the underground service yard to the top of the multi-storey car park, before imagining creative ways to define their territory within the space, guided by the educational architecture practice Matt+Fiona. 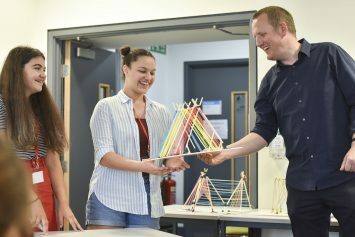 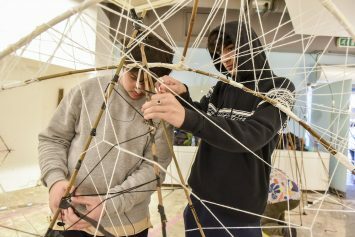 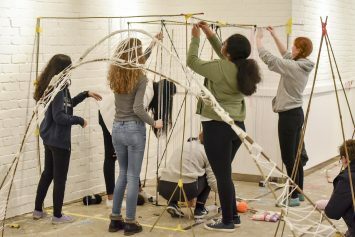 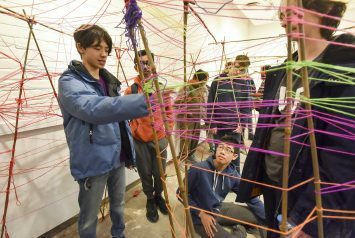 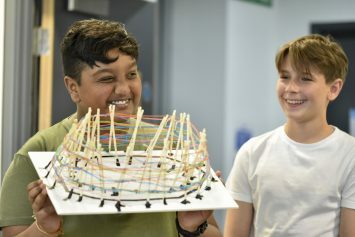 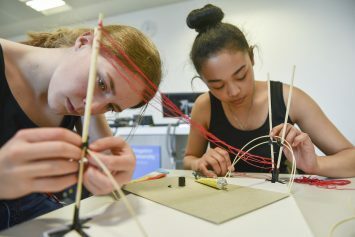 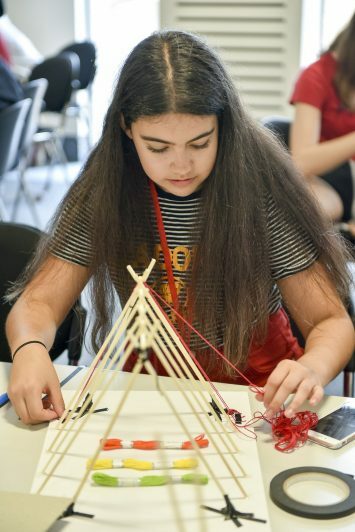 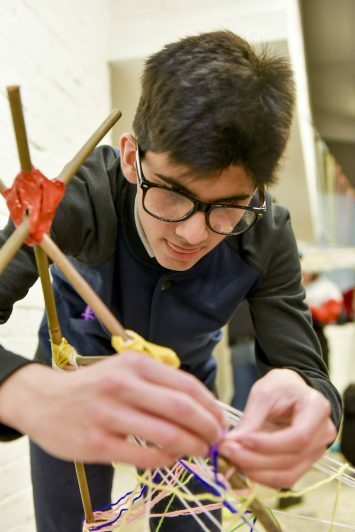 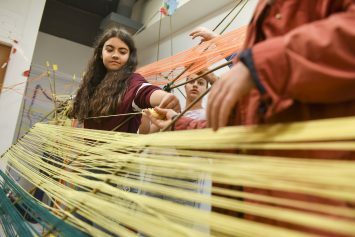 Back at Kingston University’s campus, they created scale models of their ideas using simple materials like dowelling, coloured string and tape. 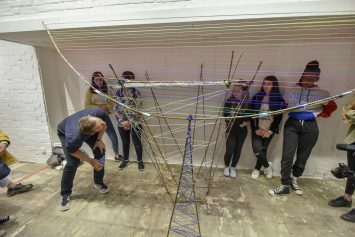 The following week they returned to Eden Walk to build these interventions at scale, on-site, using bamboo, coloured yarn and duct tape. 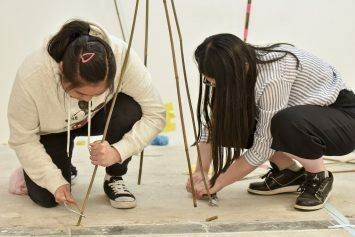 The interventions included public sculpture, spaces for teenagers to socialise and a pop-up art stall. 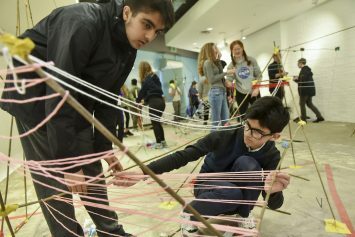 Their clever interventions transformed the space and expanded the concept of what a shopping centre could be.